Well, the 23rd of June 2016 will go down in history and everyone knows why. The United Kingdom(UK) voted to leave the European Union, with a majority of 52% versus the 48% who voted to Remain. How should the UK now proceed to ensure it does not get a raw deal when parting from the EU? 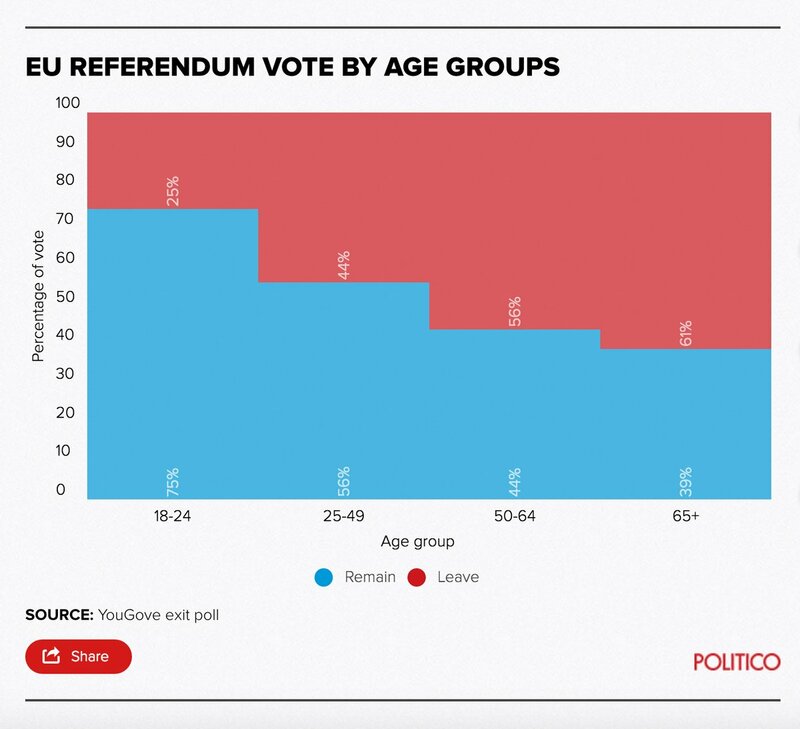 This clearly demonstrates that there was a huge rift among voters across various ages. Voters were further divided by their level of education and geographical location. Those who had a higher level of education tended to vote for Remain. Scotland and London voted mostly in favour of remaining in the European Union, and the result of the overall vote has not gone down well with these places. British currency took a hit as the pound tumbled to its lowest value since 30 years, which startled many investors. Prime Minister David Cameron has stepped down from his position, and did not formally launch the procedure to withdraw from the EU. This entails triggering article 50 of the Lisbon Treaty. This gives the UK two years from the day the article is formally triggered, in order to meet with EU leaders and formulate beneficial trade or labour agreements. If this is not decided within two years, the UK will be left without any agreements confirmed. Cameron has left it to his successor to trigger the formal leaving process, as the one who does it will have a great economic, social and cultural responsibility to shoulder. Stay within single market: Despite a majority voting for Brexit, the UK could still manage to access the single market, by mutual agreement with the European Union. This would be similar to Switzerland’s position, as Switzerland is not technically part of the European Union but has an agreement allowing hassle-free trade within the single market. However, there is a huge catch here: any non-EU country that is allowed to access the single market is also bound to allow free movement of labour from the EU or EEA (European Economic Area). As immigration was the main issue that seemed to prompt the UK to leave the EU, this would be very challenging. Develop solo trade agreements with countries around the world: The next option would be for the UK to go ahead and develop trade agreements with countries across the world. However, this is easier said than done. In April 2016, the US President Barack Obama had warned that the Brexit would put UK at the “back of the queue” to negotiate trade deals. However, now that the majority has voted, the US and Canada has assured that they are keen to develop competitive trade with the UK. However, as the UK relied on the EU to collectively negotiate trade deals, they lack trade negotiators who know how to go about the process. New Zealand has offered the UK top trade negotiators to aid with the post- Brexit trade deals, to the relief of British officials. Secure EU citizens already living the UK to expect the same for British expats: Whatever the UK decides for trade, it is very important for the UK to ensure that EU citizens already living and working in the UK remain largely unaffected. This is because the absence of millions of migrant workers within a short period could affect businesses acutely, further destabilizing the economy. Secondly, this could lead to reciprocal action from other EU nations, who would cancel the living and working rights of UK workers and pensioners overnight, leaving them hapless. Therefore, the UK has to tread very carefully when dealing with EU migrants already within the UK. Never trigger Article 50, the only formal way to start the leave process: Many are imagining the possibility that since no legal condition makes it compulsory for the referendum result to trigger article 50 of the Lisbon Treaty, Brexit could be avoided by not triggering it at all. However, this would be a serious blow to democratic values, as a majority of British people have voted to leave the EU. However, EU stalwart and German Chancellor Angela Merkel has explained that it is not possible that the Article 50 is not triggered at all. Members of Parliament vote against Brexit: The referendum results are not binding in any way, and the decision will finally be taken by Members of the British Parliament, who will have to vote to repeal the 1972 European Communities Act, which had been passed in order to allow the UK to join the EU. Technically, if the MPs now vote in majority against repealing the act, then the UK cannot yet leave the EU. The question remains, when this decision is thrown open for voting in the Parliament, what will really happen? However, as the EU comprises several other countries, it is not the UK alone that can make decisions without cooperation from other nations. Will the other EU nations allow the UK to get a good deal from leaving the EU, especially since this has raised doubts about the European project? Here’s what European Union leaders say about the UK’s position in the EU now. At the Brussels Summit on 28th June 2016, leaders of the 27 countries in the EU informed UK’s David Cameron that UK would not get any special trade privileges as it is no more part of the EU. German Chancellor Angela Merkel and French President François Hollande emphasized that if the UK want full access to the EU market, they have to accept free movement. As for the general public, they have several mixed yet passionate beliefs for or against the European Union. Whatever the future holds for the UK, hopefully the country is able to bounce back again!